Home » All-electric melting is inevitable - Why wait? The glass industry is playing a waiting game in the move to all-electric melting technologies. René Meuleman provides some justification for why attitudes need to change and why manufacturers should consider starting the transformation sooner rather than later. Carl Wilhelm Siemens developed the Siemens regenerative furnace in the 1850s. Later, in 1865, French engineer Pierre-Émile Martin took out a license from Siemens and first applied his regenerative furnace for making steel(1). 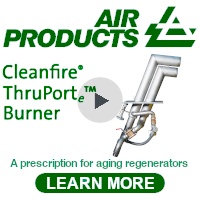 This technology was soon applied in a regenerative furnace to melt glass in a continuous process and since that time, many glass melting engineers have spent countless hours trying to make it as efficient as possible; and not without success. Until the turn of the century, the industry continued to improve the fuel efficiency of regenerative end- and side-port furnaces. Starting from 12GJ/ton, the industry managed to reduce energy usage down to around 4-5GJ/ton. A huge improvement and a great achievement! However, as can be seen from figure 1, further improvements seem to have halted subsequently(2). Even though there are a few technologies that still look promising and might squeeze a few more tons from a gigajoule, they are unfortunately rather complex and require specific technological and maintenance skills, which may not be available in a majority of commodity glass manufacturing plants. The question to be asked is: Are we going to continue trying to improve the existing combustion technology or do we need to look for alternatives? It is perfectly understandable that the industry would like to stick to what it knows best and does not want to throw away all it has learned, engineered, developed and implemented in the past. But is this attitude sustainable? Sooner or later, the availability of fossil fuels will come to an end. And the bottom line is that glass will have to be melted in a completely different way. But do glassmakers need to be worried today? Do they need to question their installed base, consider replacing existing fossil fuel firing-based designs and start all over again? Should the industry go back to the drawing board, sharpen its pencils and ‘think outside the box’ now, tomorrow or leave it to the next generation? Different regions can have differing opinions about the threat of global warming. Those who live 3m below sea level, in regions close to the equator or in parts of the world where hurricanes and tropical storms can occur, may think differently compared to those living in more environmentally stable locations. But perhaps even their opinions can suddenly change, for example after a thunderstorm drops 100 litres/m2 of water over their heads, a phenomenon that recently happened twice at the author’s location in one week. Another example is what happened not long ago to the north east of the Netherlands, when some areas started to suffer from earthquakes because of the extraction of billions of m3 of gas from a natural gas field. Only 60 years ago, the entire Dutch population and industry converted from coal to natural gas because it was so much cleaner. Now, however, it has become a threat and politicians have decided to reduce the field’s output to a stop completely by 2030. Consider what happened in Germany after the Fukushima nuclear disaster, for example, when the German government, under people pressure, decided to shut down all nuclear plants. Germany became a world leader in renewable energy generation but trashed a huge amount of CO2 -free power generation at the same time and ended up having problems closing its brown coal firing facilities. “The existence of a ‘carbon bubble’ – assets in fossil fuels that are currently overvalued because, in the medium and long-term, the world will have to drastically reduce greenhouse gas emissions – has long been proposed by academics, activists and investors. The new study, published on 4 June in the journal Nature Climate Change, shows that a sharp slump in the value of fossil fuels would cause this bubble to burst and posits that such a slump is likely before 2035 based on current patterns of energy use”(4). Like many things in life, it is not black or white but as Dr Seuss said: “Sometimes questions are complicated but the answers are simple”(5). 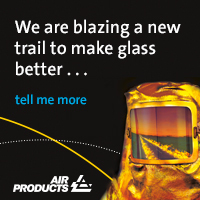 As well as governments, glass industry customers have started to complain about glass manufacturingrelated emissions. Over the last 10 years, a huge increase of electrical power usage has been witnessed in glass melting tanks, specifically in special glasses but also in container glass. The 2018 GlassTrend spring seminar was dedicated to CO2 neutral glass production and 92 participants kicked different solution ideas around to build their own opinions on how to move forward. It seems the biggest show stopper will be that each individual glass manufacturer, however big or small, will not want to be the first to take the risk, in case of running into unforeseeable problems. There also seems to be a disconnect between senior management, finance, marketing and manufacturing. A technology change of this magnitude will have an impact on the whole business and perhaps the industry needs to start looking at all aspects of their business, even if this makes the problem more complex. For example, CO2 -free bottle manufacturing could have a hugely positive impact on marketing, especially now that plastics are under major pressure. Could it represent an opportunity for the industry to get back a big part of the non-alcoholic beverage packaging market, while remaining in the beer and spirits business? 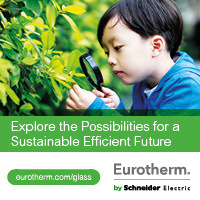 It should be re-emphasised that the interest, activity and desire for collaboration Eurotherm has on this subject comes from the fact that we care about the world in which we live, both for us and our children. Being involved in these discussions, it seems to us that it is becoming vital to move forward. To sit together on a corporate level and figure out the future of the glass industry like Michael Owens, Edward Libbey, Alastair Pilkington and Otto Schott did in the past. In the near future, the world’s destiny will demand answers from everyone. As Mario Andretti said: “If you wait, all that happens is that you get older”(6). This message is just as applicable today but glassmakers should now question if it will still apply to the next generation. Should this typically traditional industry take that risk for granted? 2. Figure 1 image supplied by CelSian Glass BV, courtesy of Harmen Kielstra. 3. 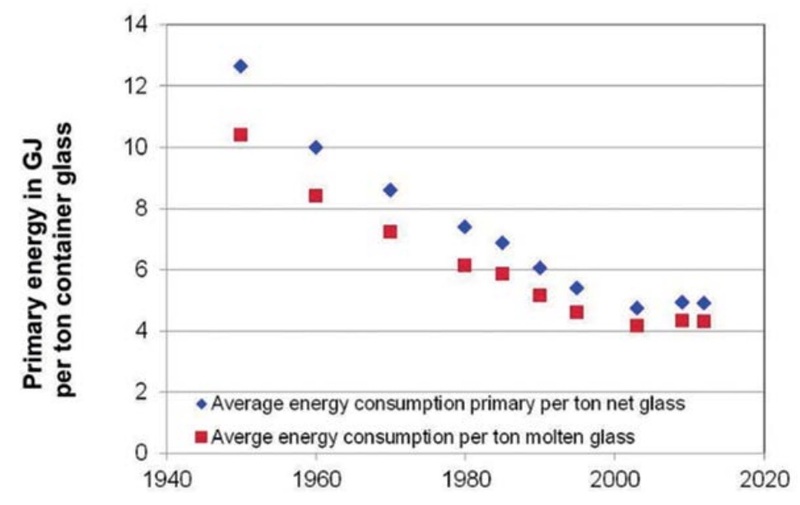 ‘Emerging energy efficiency and carbon dioxide emissions reduction technologies for the glass industry’, https://china.lbl.gov/sites/default/files/lbl_glass_final.pdf. 5. Quote attributed to Dr Seuss (aka Theodore Geisel). https://simple.wikiquote.org/wiki/Dr._Seuss. 6. Quote attributed to Mario Andretti ‘F1 Drivers Best Quotes’ by Adrian Adams, Barnes & Noble.